Cosmetic dentistry is dentistry aimed at creating a positive change to your teeth and to your smile. Most think of tooth whitening or veneers when cosmetic dentistry comes to mind, but a cosmetic dentist can provide much more. A skilled, experienced cosmetic dentist like Dr. Palani can help to improve your appearance, your smile, even your self-esteem, and confidence. Today, cosmetic dentistry has continued to evolve to where cosmetic dentists can address functional and esthetic patient concerns. Patients who have undergone treatment are often transformed from the inside out because knowledge in the dental profession is constantly growing. It means striving for a smile that connects. The changes that Dr. Palani can make to your smile, through a wide variety of procedures, techniques, and the newest materials, are remarkable. Today's cosmetic dentistry includes tooth whitening, bonding, tooth-colored restorations and fillings, porcelain veneers, orthodontics, dental implants, and more. You may be surprised by how dentistry has evolved and what can be done by an experienced cosmetic dentist. 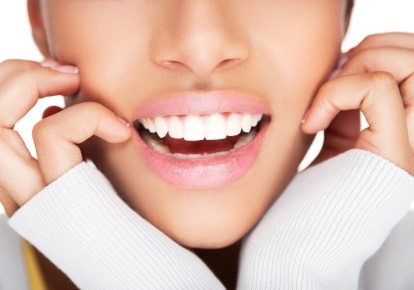 We invite you to notice the difference in cosmetic dental treatment in Beverly Hills, CA. Call us today!